Far away, 13 billion miles from Earth, there is a tiny man-made spacecraft drifting away from Earth and everything that we know. This spacecraft, Voyager 1, has travelled further than anything else humans have made, learning about the deepest parts of our solar system and now beyond. It is our first foray into interstellar space, with the spacecraft having left the comfort of our solar system. We sent Voyager 1 off on its journey 40 years ago for an important mission. It visited and studied the biggest planets of our solar system and their moons for the first time. Then, the spacecraft was to travel further and faster than any other human spacecraft. 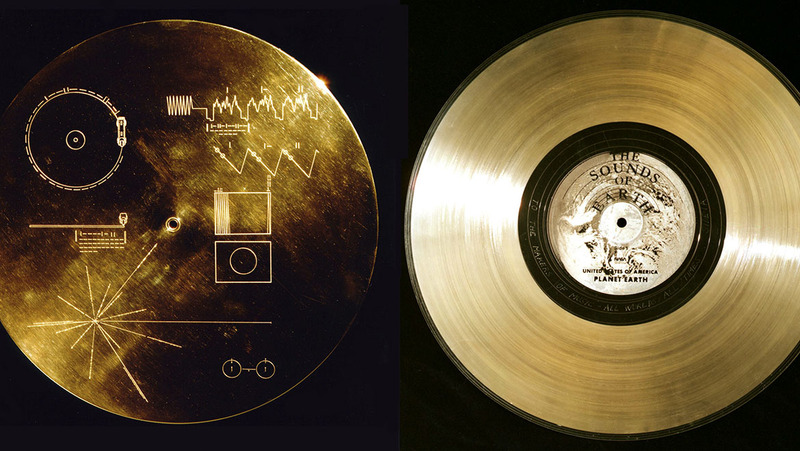 So far in fact that the Voyager team collaborated with Carl Sagan to include a special disk that described mankind in case intelligent life was to stumble across the spacecraft in outer space – we were venturing into the unknown and didn’t know who was going to join us. The disk is made of gold, and it includes images of a man and a woman, the atomic structure of water and carbon, and a pictorial description of where we are in the solar system. The disk is also a record which includes samples of languages from around the world and some of the most memorable music from across history. Reaching true space means that Voyager 1 is our first opportunity to discover and learn about the true space environment without our Sun affecting the results. We’ve never had a chance to look at what the emptiness of space looks like without the Sun’s magnetic field, winds and other solar events playing a role in the environment. The mission of Voyager 1 does not stop with reaching interstellar status, there is a wealth of knowledge and scientific discoveries to come from the next leg of the mission in the vastness of space. We have been in communication with it the entire journey, using its radio antennae and a set of small devices called thrusters to orient itself. These thrusters fire in tiny pulses, or ‘puffs’, lasting mere milliseconds, to subtly rotate the spacecraft so that its antenna points at our planet. Since 2014, NASA scientists have faced the challenge that these thrusters have started to degrade and that we faced losing communications with Voyager 1. We were going to lose contact with a very important human relic. 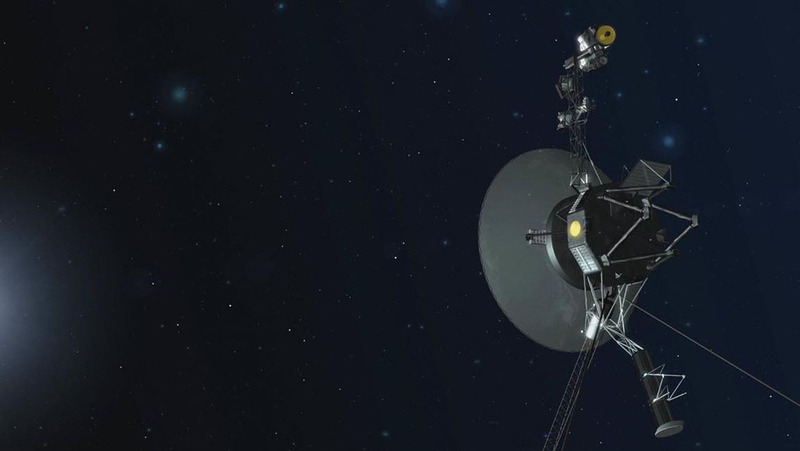 But the Voyager team at NASA was able to successfully fire up the spacecraft’s backup thrusters that have been unused, dormant and collecting ‘space dust’ since 1980. The Voyager team assembled a group of propulsion experts at NASA’s Jet Propulsion Laboratory (JPL), Pasadena, California to study the problem. Chris Jones, Robert Shotwell, Carl Guernsey and Todd Barber analysed options and predicted how the spacecraft would respond in different scenarios. They agreed on an unusual solution: Try giving the job of orientation to a set of thrusters that had been asleep for 37 years. 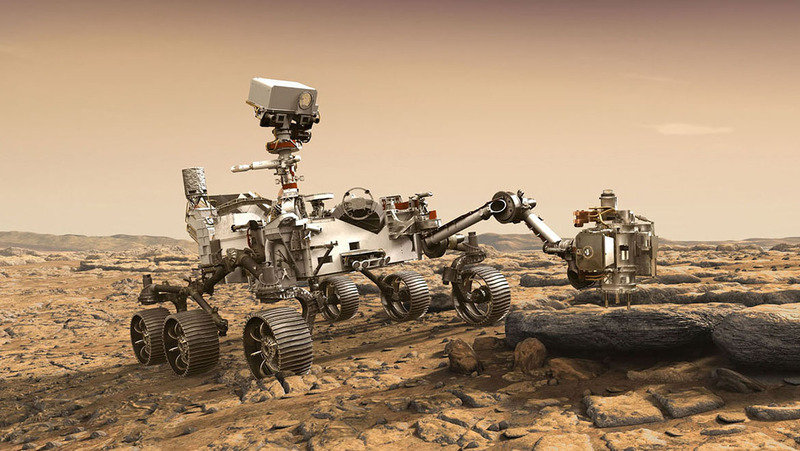 “The Voyager flight team dug up decades-old data and examined the software that was coded in an outdated assembler language, to make sure we could safely test the thrusters,” said JPL’s Chris Jones. The backup thrusters are identical in size and functionality to the currently degraded ones, they just had a different purpose and are in a different place on the spacecraft. The backup thrusters were originally used to control the spacecraft’s trajectory as it flew by Jupiter, Saturn, and important moons of each. They were needed to accurately fly by and point the spacecraft’s instruments at a smorgasbord of targets, with engineers using them to control the trajectory of the spacecraft. But because Voyager 1’s last planetary encounter was Saturn, the Voyager team hadn’t needed to use the thrusters since November 8 1980. Back then, the thrusters were used in a more continuous firing mode; they had never been used in the brief bursts necessary to orient the spacecraft. On Tuesday, November 28 2017, Voyager engineers fired up the four backup thrusters for the first time in 37 years and tested their ability to orient the spacecraft using 10-millisecond pulses. The team waited eagerly as the test results travelled through space, taking 19 hours and 35 minutes to reach an antenna in Goldstone, California that is part of NASA’s Deep Space Network. Lo and behold, on Wednesday, November 29, they learned the thrusters had worked perfectly – and just as well as the original orientation control thrusters. “The Voyager team got more excited each time with each milestone in the thruster test. The mood was one of relief, joy and incredulity after witnessing these well-rested thrusters pick up the baton as if no time had passed at all,” said Todd Barber. The plan going forward is to switch to the backup thrusters in January. To make the change, Voyager has to turn on one heater per thruster, which requires power – a limited resource for the ageing mission. When there is no longer enough power to operate the heaters, the team will switch back to the attitude control thrusters. The thruster test went so well, the team will likely do a similar test on the thrusters for Voyager 2, the twin spacecraft of Voyager 1. The orientation thrusters currently used for Voyager 2 are not yet as degraded as Voyager 1’s, however. Voyager 2 is also on course to enter interstellar space, likely within the next few years. With a few more years of life added to the mission of Voyager 1, the spacecraft will continue at the very frontier of human space exploration. And there could not be a more important time for this. Each year we are getting closer and closer to sending our first humans to live on a different planet. We are no longer edging our way curiously there, we are taking giant leaps and bounds towards the reality. We are on the verge of becoming an interplanetary species within the next decade or so, and will soon be relying on all the data and information we have collected from around the solar system to support our new lives and endeavours. Our first stop as a species will be Mars, with both national agencies and the private sector investing heavily to send humans there in the 2020s. But after Mars, who knows where or when the next stop will be? We might be content with Mars for a few thousand years, or, more likely, we will continue to expand throughout the solar system. Voyager 1 collected data and information on the giant planets and their moons that we will use as we continue to explore and expand throughout the solar system – where we might find life, or water, or even other resources that we have grown dependent on for normal human life. Where might be habitable for a future generation or too hostile to consider supporting human life? 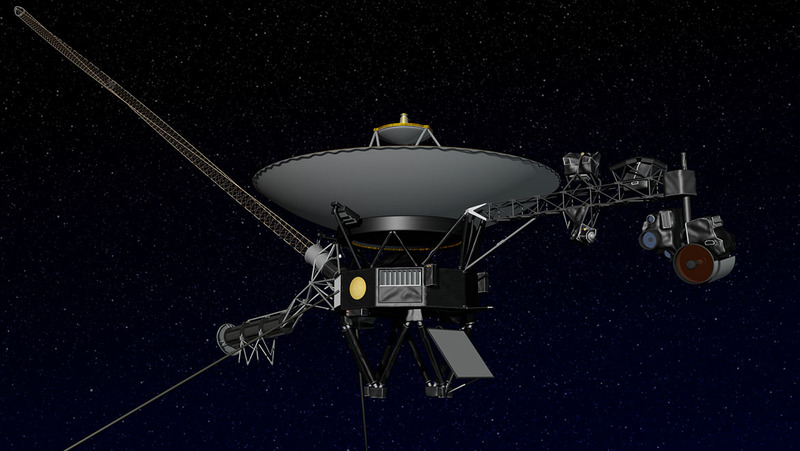 Missions like Voyager will enable us to more easily and cleverly expand throughout the solar system, without further multi-decade probe missions. Voyager has done the hard yards and given us a wealth of information about some of the most curious places in the solar system, so we have a pretty good idea of where to look for water and resources as we expand. But for those who like to think long term, the second phase of Voyager’s mission might be the most exciting part of its mission – travelling into the abyss of space, hoping to find intelligent life. Equipped with all the information intelligent life would need to find us on Earth, this is both exhilarating and terrifying. Sending a message to aliens that are intelligent enough to understand it could bring us technological advances that enable us to leapfrog normal timelines, scientific knowledge that could change the way we think about life and endless opportunities to expedite our journey into the universe as a species. But, given our experiences with humans throughout history, and how hostile we have been to natives when colonising ‘new worlds’, there is an element of fear that another intelligent species might act the same. Many hope that a successful intelligent species would have resolved the need to be so violent, but all we can do is hope. Voyager 1 will continue to travel even further away from home planet Earth. 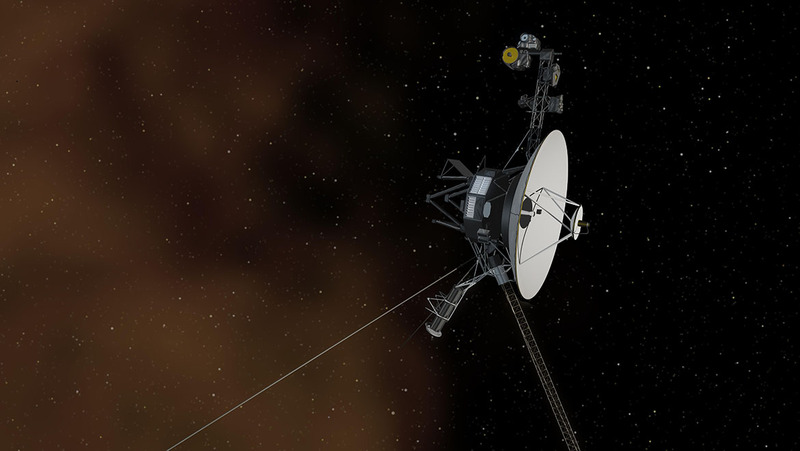 After 2025 when it would have depleted its power, and the last of its instruments will be powered down, Voyager 1 will continue to drift into outer space, with no communication or direction from humans. Who knows where it will end up, or who will find it? Australian high school students. Under her leadership, and at the age of 23, Solange led Cuberider to place the first Australian payload to ever go aboard the International Space Station, in December 2016.